[Jazz is] never going to be a pop music. It's never gonna be like that. It's going to have its down moments, a little up moments. But it's always going to be here because it's so strong. 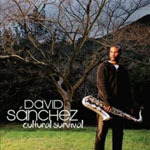 David Sanchez, the percussive saxophonist, hails from Puerto Rico, and brings with him the Latin rhythms one might associate with that background. But he steams ahead in the mainstream as well, having had his life altered when his sister came home with a Miles Davis album featuring John Coltrane. 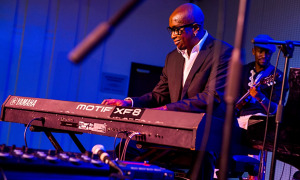 He's also studied with the likes of Kenny Barron and Larry Ridley and served apprenticeships with Elvin Jones, Roy Haynes, Charlie Haden and McCoy Tyner. And he acknowledges a huge debt to Dizzy Gillespie. 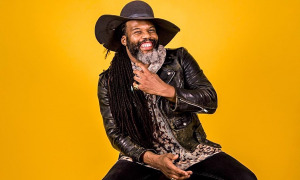 Throw in all his Latin influences, including work with Eddie Palmieri, Hilton Ruiz, Claudio Roditi, and you have a rich well of influences upon which to draw. And Sanchez has done just that. But through it all, he says jazz is American. Not just American. America. "Any time they want to recreate or present what America is all about, jazz is in there," he said. "America got formed and was built when jazz was happening and jazz was developing. So it's the symbol. It's a synonymous thing. 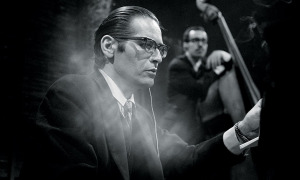 Whenever you talk about what America is, it's synonymous with jazz." Things have slowed since the Sept. 11 tragedies in the US, but Sanchez sees that things must move on. "You have to continue. They made it very clear. If you don't want things to keep from going down, you've just got to live your life, normal. And also they are starting to come to the realization that they need music, you know? They need things that can feed their souls and lift them up," he said. It's exemplified in New York City where perhaps the worst tragedy occurred. While clubs in other parts of the country went into a downturn, New York is still alive, he says. "I'm telling you, New York people are tough. It's hard to intimidate people there. Yeah, you might get a little bit, and the people are shocked. But they say  Hey, things keep going. It's a heavy city." Sanchez, 33, is moving on too. Touring through the end of the year, including a stint in Europe. 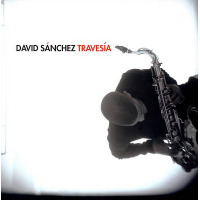 On the heels of his last two CDs  Obsesión in 1998 and Melaza in 2000, both nominated for Grammy Awards for Best Latin Jazz Album - comes Travesía , just out in October. It has a different feel, with originals and some standards made to bring a different approach. 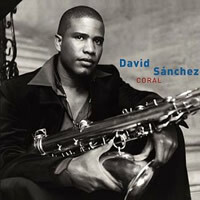 Different approaches are what Sanchez and his warm tone and thoughtful improvisations are about. He says he doesn't want to stay in one bag, but bring a universal approach - something he learned from Dizzy - to his music and to the people of the world. Through tough times of late, Sanchez is forging on, his sound becoming more identifiable and his compositions gaining more recognition. 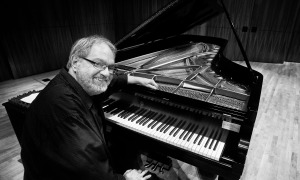 He took time out while on tour and spoke recently, from Chicago, with All About Jazz. 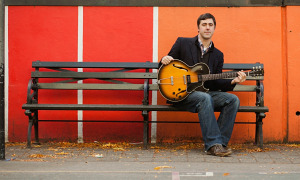 All About Jazz (AAJ): I know you're in the middle of touring and you have a new CD. 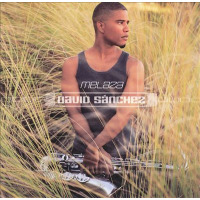 David Sanchez (DS): Yeah. A couple of weeks ago. Travesía. Basically, this is a mixture of the conception of Melaza, which is the previous recording. Some of that conception and some of the sonorities, mixed with some of the subtleness and the qualities of Obsesión. Basically, it's kind of like a hybrid of the two of them. I wanted to kind of like mix it up and include some classical, some Latin American, as well as some American - United States - and kind of like, so my own thing with them. Bring a little of that conception of Melaza into them. Also with my own work. Mix it up. AAJ: You have an international band, it seems. 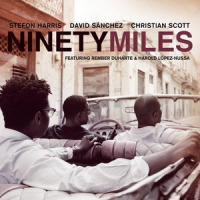 (Bassist Hans Glawischnig, pianist Edsel Gomez, drummer Antonio Sanchez, percussionist Pernell Saturnino and alto saxophonist Miguel Zenón). Is that with special design in mind? DS: No. It just happened to be like that. Just a coincidence, I guess. When you're in New York City, you know, there are so many people from all over the world. Sometimes that's what happens. AAJ: Are you on an extensive tour right now? DS: Yes. Pretty much, until mid-December. AAJ: Some musicians are pretty worried that gigs are drying up in the clubs. Maybe there are fewer clubs than there were a few years ago. Are there gigs out there, as a front man, as well as a sideman? DS: You're right. The whole scene is pretty different right now, even now more so than ever with this whole tragedy thing. After September 11, everything has changed. But even before that. I guess the music industry has different periods, where it kind of like goes in limbo or something. For jazz it's even harder, because obviously it's not completely about entertaining or anything like that. It's about art. The art of producing sound, combining rhythms and stressing yourself and the art of improvisation. And that's a little more sophisticated than the other stuff that is more commercial. So for jazz, it suffers even more, because we suffering even before this whole thing. But now it's even worse for jazz. So of course that's going to affect the clubs and the scene, since the record industry controls, in one way or another, what's happening in live performances.